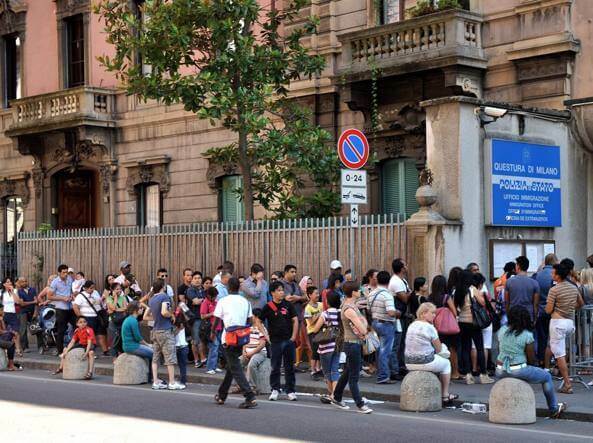 Bureaucracy in Italy is designed to make life difficult. There are 4 main things you need to do – register your address with the local municipality office (comune), apply for a work visa (permesso di soggiorno – though no longer necessary for EU citizens), apply for your tax number (codice fiscale), and get your national health card. EU citizens will have to spend at least 2 or 3 mornings visiting the various offices, queuing, photocopying passports, and filling out forms. Tip: always take with you 2 or 3 passport-sized photos and at least 1 or 2 photocopies of every official document imaginable. This will avoid yet more queues for photocopiers, trying to find photo booths, and inevitably re-joining the queue or getting another appointment a few weeks later. As a non-EU citizen, getting a work permit after you have arrived in Italy is almost impossible unless you marry an Italian. Very few companies are willing or able to sponsor teachers coming from outside the EU due to the cost, time and uncertainty involved. There are a limited number of visas available if your company sponsors you and offers you a ‘contratto a tempo indeterminato‘ (see the FAQ on employment contracts in Italy) and even fewer available for ‘lavoro autonomo‘ (the second, third and fourth options in that FAQ). Non-EU citizens must start this process in their home country – as this topic is constantly changing and has so many ifs and buts and exceptions we cannot even hope to give much detailed advice on this topic. Please check at your local Italian Consulate or Embassy for details of the application process, and as a first step you can consult the immigration section of the Italian Ministry of Foreign Affairs and the Ministry of Home Affairs. If you don’t have family connections in Italy, the best route for Americans or other non-EU citizens to get a visa is to apply to study at an accredited university or college. If your application is successful, and with some conditions attached, you will receive a study visa which allows you to work up to a maximum of 20 hours a week – which is not far from a full teaching schedule of 25 hours a week. Some schools offer to pay salaries into a foreign bank account or encourage teachers to register as a freelance teacher, though this is in order to keep any immigration problems at arm’s length from the school, rather than as a solution, and overstaying the date of a passport stamp is obviously not recommended.